In the moment of conception two cells become four, become eight, and so on and so forth. 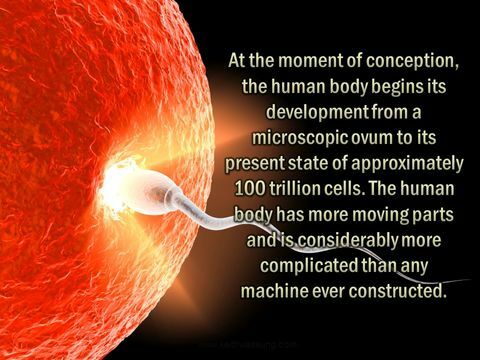 In about 280 days a fully functioning human is created with approximately 100 trillion cells. The pregnant woman does not have to organize or tell the body what to do or how to create the cells; the process is done automatically by the innate intelligence of the body. The innate intelligence flows from the Central nervous system which includes the brain, spinal cord and spinal nerves. All the functions in the body from the heart beating, digestive system, lungs and every cell communicates via this system. How important do you think it is to have the Central nervous system communicating properly? It is the key to health. The Central nervous system is proven in every scientific research to be the link that makes the body, immune system and circulatory system work effectively. The next logical question, how do you keep your Central Nervous system communicating properly? As a Chiropractor I am privileged to have the skills and ability to check the spine for any areas that may have a disconnection between the brain and body. We use specific test to analyze and detect any misalignment's in the spine that could decrease the nervous systems ability to keep the body healthy. We start on a series of adjustment that are gentle and safe, Our job is to put the body in the best position and then allow the body to do what it is designed to do. The body is designed to be self-healing, self-regulating and to heal from the inside. 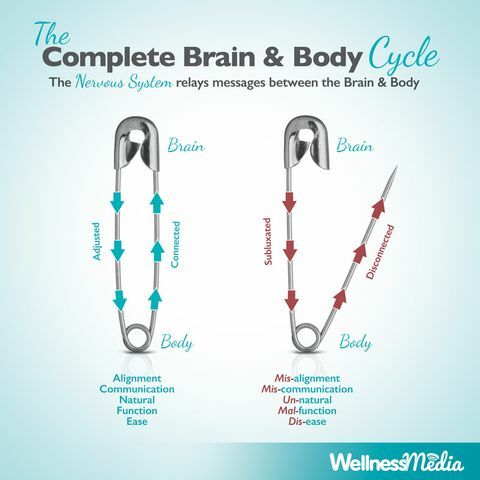 The purpose of the adjustment is to restore and then maintain the integrity of the Central nervous system (brain body connection). The answer is yes most of our patients choose to make Chiropractic care a regular part of their life. My purpose and mission in life to help every man, woman and child live a healthy and full life through regular Chiropractic adjustments. If you have been thinking about telling someone about us I urge you to do it now. It could change their life. You never know how far reaching what you think, say or do will affect millions of lives tomorrow. When we come into the new year some of us have our to-do lists that hit the ground, and you’re not alone. It seems that people are only getting busier, but why? We’ve had this surge in technology to make life easier and decrease the amount of time spent on tasks- but do we capitalize on the free time it creates? The Guilt Trip- Ever feel guilty for sitting back with your feet up? Or curling up on the couch for a midday movie? Tons of people feel guilty for spending time relaxing or doing nothing at all. And we’re guessing this has to do with our GO GO GO culture where laziness is frowned upon – we work hard, pull ourselves up and get things done. 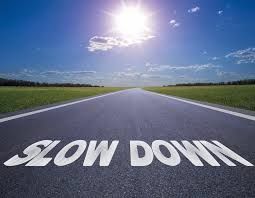 We’re here to tell you it’s OK to slow down, in fact, its more than OK – it’s good for you. So go ahead, clear your schedule, cozy up on the couch with a good book, your friends, and family. The Why- There is a ton of research out there that benefits relaxation – some is a bit more obvious like stress relief, but other reasons may surprise you. Below are just the few benefits; we encourage you to research more on this topic also. Rethink downtime. 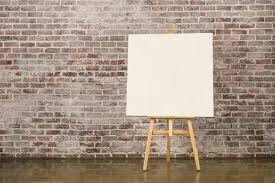 Don’t look at downtime as time wasted or lost, but an investment in yourself. If you’re working yourself into the ground, your work, your health and happiness will suffer. Give yourself some credit. 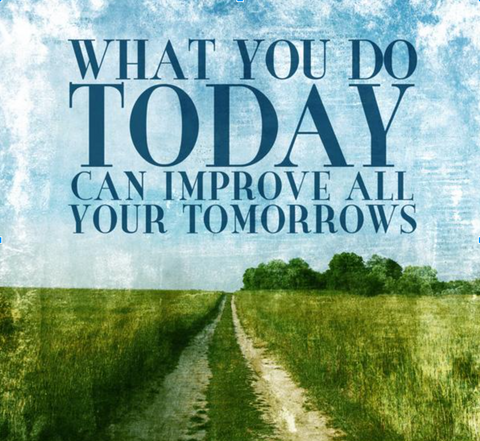 Instead of looking at what’s always left on your plate at the end of day, review what you have accomplished. Give yourself a high five and wrap it up for the day. You heard me, put the to do list away! It will still be there tomorrow. Schedule time for nothing. Seriously, set times during the week where you have the freedom to choose what you would like to do – read a book, go for a walk with your family, your options are limitless. Your health and sanity is far more important than a list.